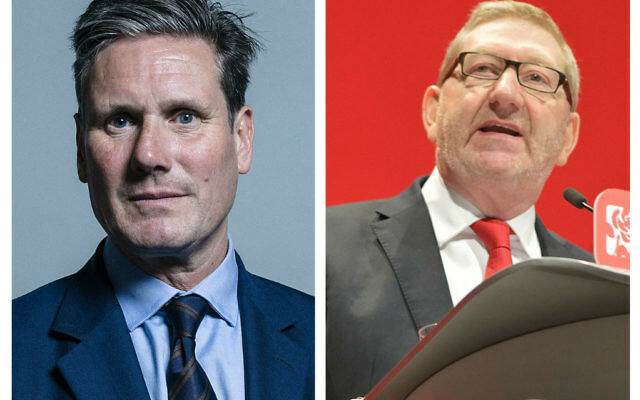 A senior Labour frontbencher has hit back at trade union boss Len McCluskey over his attack on “Corbyn-hater” Labour MPs whom he accused of trying to portray the party as a “morass” of anti-Semitism. The Unite general secretary, a long-standing ally of the Labour leader, warned on Wednesday that the actions of Mr Corbyn’s backbench critics were leading to renewed demands for the return of mandatory re-selection of Labour MPs. 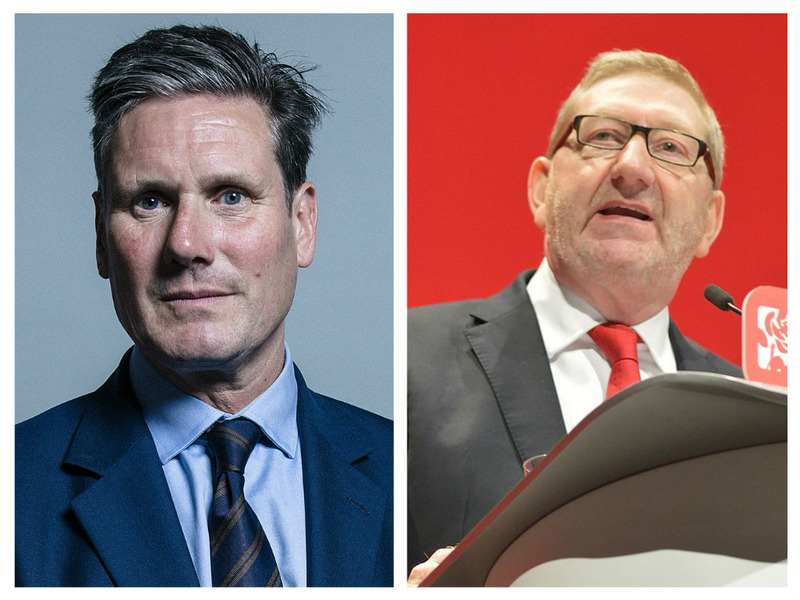 However, shadow Brexit secretary Sir Keir Starmer said it was “obvious” the party has an issue with anti-Semitism and those who deny it are “part of the problem”. “I disagree with Len McCluskey. Jeremy Corbyn has made it clear, and it is obvious, that we have got a problem with anti-Semitism. We have got to deal with it robustly and effectively,” he told BBC Radio 4’s Today programme. “Part of that is the disciplinary procedure, which needs to be much quicker and much more effective, but there is also a cultural question. Writing in the New Statesman magazine, Mr McCluskey accused MPs on Labour’s centrist wing of “working overtime trying to present the Labour Party as a morass of misogyny, anti-Semitism and bullying”. While he insisted that he was fiercely opposed to anti-Semitism, he singled out five MPs – Chris Leslie, Neil Coyle, John Woodcock, Wes Streeting and Ian Austin – who he said are “polluting” the leader’s efforts to tackle the problem. “I look with disgust at the behaviour of the Corbyn-hater MPs who join forces with the most reactionary elements of the media establishment and I understand why there is a growing demand for mandatory reselection,” he wrote. The latest row erupted after Mr Corbyn’s attempt to mend fences with the Jewish community backfired as leaders of the Board of Deputies and the Jewish Leadership Council (JLC) accused him of failing to back his words with action. Following talks on Tuesday, Board of Deputies president Jonathan Arkush and JLC chair Jonathan Goldstein said “a deep cultural change” was needed within Labour to rebuild trust.